That is a sandwich I could marry! LOL Susan! I’ll fight yer for it – it looks super scrummy. Oh my goodness, that sandwich looks delicious. 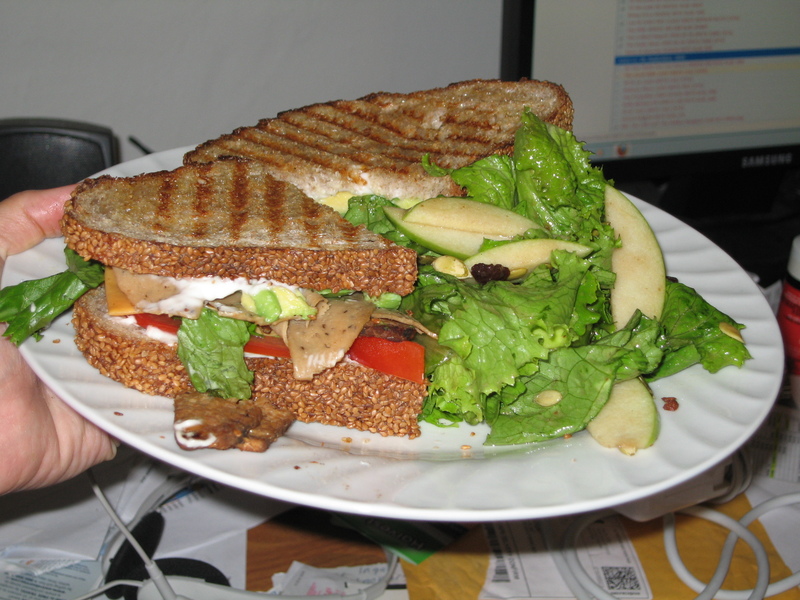 Im so hungry right now…I should not be looking at pictures of giant sandwiches! Argh!